Call us now. Available 24/7! When you’re a homeowner, chances are you want to take as best care of your home as you can. You think about the life of your roof, the foundation, taking care of your yard and keeping up curb appeal. But do you think about Electrical Safety? Do you check regularly to make sure your outlets and electrical wires are okay? Chances are, it’s not at the top of your list… But it should be! 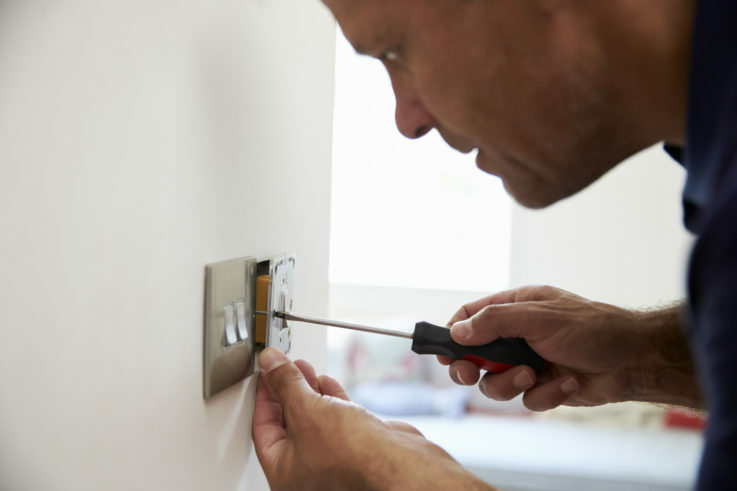 If you’re a homeowner you need to know these 10 Home Electrical Safety Tips. A damaged electrical cord can give you a serious shock when you touch it. It can also start an electrical fire. Both of these can be fatal, so check your cords regularly. If they have electrical tape wrapped around them or loose plugs, they should be replaced. It’s possible to repair them if you cut off the damaged portion and replace the plug end, but it’s usually better to just replace them. Don’t run electrical cords across high-traffic areas. The repeated stress of a cord being stepped on if it lays across a doorway or under a carpet can cause it to fail. Also, a cord in a high-traffic area is a tripping hazard. Also, keep extension cords out of sight if you have pets; they may start playing on them and chewing them. Don’t plug too many things into one outlet. Of all the home electrical safety tips, this one is violated the most often. However, you might be wondering “how many is too many, exactly?” Well, that depends on how your home is wired. So, it’s important to know the electrical specifications of your home in order to stay safe. A good rule of thumb is to never plug more than one high-wattage appliance into an outlet at a time. If your circuit breaker trips again right after you reset it, find the problem causing it, but don’t try to reset it again. Trying to repeatedly reset a circuit breaker that doesn’t want to reset can cause a fire. When a breaker trips, it’s because there’s something wrong. If you just plugged something in or turned something on before it tripped, then you’re likely overloading the circuit you plugged the item into. If you can’t find the problem, it’s best to call a professional electrician to check things out. Use tamper-resistant outlets if you have small children. Small children are curious about how the world works. Don’t risk having them stick something into an outlet and getting a shock. Call an electrician if you find a light switch, outlet or cord that’s warm to the touch. Dimmer switches are often naturally warm to the touch because of the way they’re designed. A warm dimmer is no cause for alarm, but a warm toggle switch, outlet, or cord is. Use only light bulbs that match the recommended wattage of light fixtures and lamps. Using bulbs that are too low on wattage can cause them to get very hot, increasing the risk of burns or fires. This is one of the home electrical safety tips that often goes unnoticed. Keep lamps on level surfaces away from anything flammable. The bulbs of lamps can get warm even if you do use the right bulb, so keep them away from curtains drapes, and any paper, plastic, or cardboard items. Don’t throw water on an electrical fire. 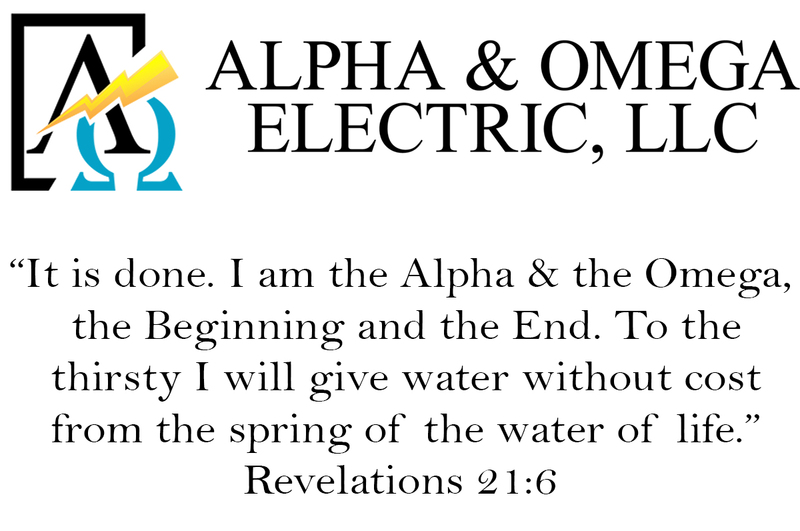 Since water conducts electricity, don’t throw it on an electrical fire. At best, this will only spread the fire. At worst, you could get electrocuted and burned badly. Install ground fault circuit interrupters (GFCIs) in areas that have water in them (bathrooms, kitchens, laundry rooms, and outdoor outlets). A GFCI is an extra level of safety in the event that a short occurs in an outlet. A GFCI will cut power to the outlet if it detects a surge. If you’re looking to make any electrical upgrades in your home, we urge you to seek the help of a professional electrician to avoid serious injury or a possible electrical fire in your home. Have a question? Want an answer from a certified electrician? Just fill out the form below and we will be more than happy to get back to you with an answer. Who knows… Maybe your question will end up on Social Media for others to learn from. Service Area: Servicing Albuquerque, New Mexico and the surrounding areas including Sandia Heights, Corrales, Rio Rancho, and Foot Hills. Please contact our office at (505) 554-3313 or fill out the form below. Address: Servicing Albuquerque, New Mexico and the surrounding areas including Sandia Heights, Corrales, Rio Rancho, and Foot Hills.